In 1925 the international treasure-hunting scene is a man's world, and no one understands this better than Irene Blum, who is passed over for a coveted museum curatorship because she is a woman. Seeking to restore her reputation, she sets off from Seattle in search of a temple believed to house the lost history of Cambodia's ancient Khmer civilization. But her quest to make the greatest archaeological discovery of the century soon becomes a quest for her family's secrets. 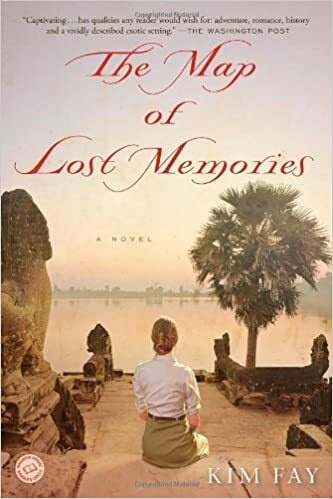 Embracing the colorful and corrupt world of colonial Asia in the early 1900s, The Map of Lost Memories takes readers into a forgotten era where nothing is as it seems. As Irene travels through Shanghai's lawless back streets and Saigon's opium-filled lanes, she joins forces with a Communist temple robber and an intriguing nightclub owner with a complicated past. Deep within the humidity-soaked Cambodian jungle, what they bring to light does more than change history. It ultimately solves the mysteries of their own lives.